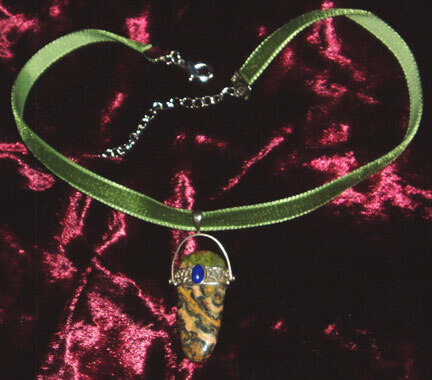 I design custom choker necklaces made from velvet chokers, satin, lace and organza, adding pendants featuring a gemstone, cameo, rhinestone or vintage charm. Visitors are invited to design their own custom chokers, and I will bring them to life. 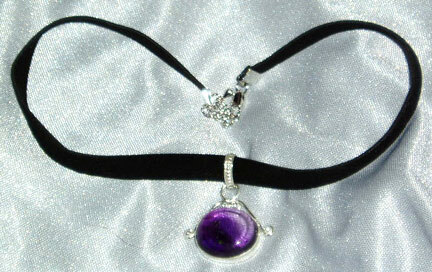 Prices start at only $10.95 for a basic choker necklace, and $29.95 for a gemstone choker.